Where can we go to find rest? It’s a question which feels especially pressing in an age of nonstop notifications. Many people are overstimulated, overstretched and sleep-deprived: it’s all too easy to fill every waking moment with noise. We can be entertained, we can escape - but we’re unlikely to come back filled. Technology makes a useful scapegoat, but this is a human problem at least as old as the book of Psalms. ‘My soul thirsts for God, for the living God,’ says the author of Psalm 42, sleepless and tormented. ‘When can I go and meet with God?’ This expression of spiritual longing still resonates, thousands of years later. What we need is more than rest: it’s restoration. Conversely, a lot of films dealing with this topic are about journeys. Characters hit the road when they’re wrestling with dissatisfaction, unresolved pain, or simply the desire to break out of a rut. And through their travels, if they’re headed in the right direction, they might find their way towards real rest. Troubled women search for respite in nature in Edie (in cinemas from 18 May 2018) and Wild (2014). The former stars Sheila Hancock as the title character, now passing into bitter old age after a lifetime of deferred dreams. She manages to escape the care home where she’s been sent after the death of her husband, determined to fulfil a childhood dream of climbing Mt Suilven in Scotland. Through the physical and mental challenge of the trip, she hopes to rediscover something of who she once was. Wild is based on the true story of Cheryl Strayed, who hiked over 1000 miles of the Pacific Crest Trail in search of healing after the death of her mother. Played in the film by Reese Witherspoon, Cheryl - like Edie - finds herself broken open by the experience. The enormity of the challenge, the brutality and beauty of the natural world, act as a catalyst for her transformation. Reflecting on the advice of her late mother, she learns that it’s possible to “put yourself in the way of beauty” by seeking out the small moments of transcendence which the world offers every day. Nature first makes Edie and Cheryl feel defeated and small: but then, conversely, it grows them as they discover their place in some greater scheme of things. Some escapes end up returning us to the place we think we’re running from. In indie classic Little Miss Sunshine (2006), the disparate members of the Hoover family bicker and bond as they race to get young Olive (Abigail Breslin) to a beauty pageant. Each of them is broken in some way - from harassed mum Sheryl (Toni Collette) to her deluded husband Richard (Greg Kinnear) and suicidal brother Frank (Steve Carell). In the course of their road trip, secrets are revealed, and hard truths faced up to. In the process, the Hoovers find peace with themselves, and with each other. A big part of this is learning to stop striving. Richard, a motivational speaker, is obsessed with the distinction between winners and losers - those who hustle until they make it, and those who quit. He places himself firmly in the former category, until it becomes painfully clear that his career is tanking. The film finds grace in giving up, in the place at the end of our ropes where we all inevitably find ourselves. There’s release in opting out of life’s beauty contest, and resting in the love of those who cheer us on unconditionally. Where’s the furthest place you can go to get away from yourself, and from your pain? Gravity (2013) answers this question in mind- and eye-boggling fashion: outer space. 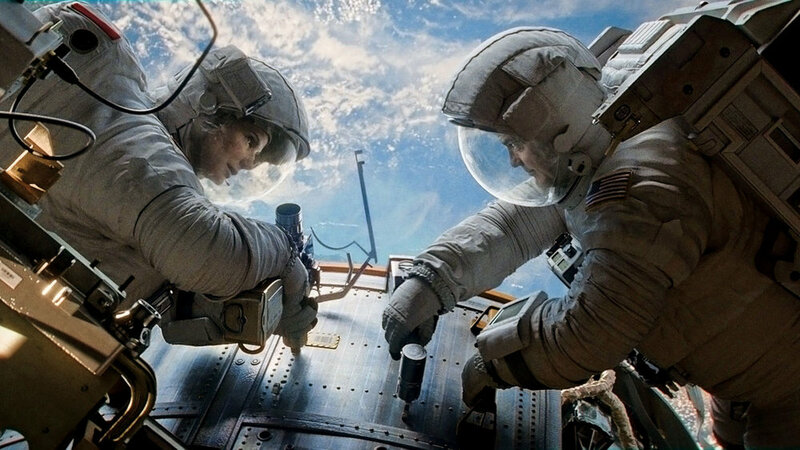 Astronaut Ryan Stone (Sandra Bullock) signs up for a mission following the death of her young daughter, but catastrophe strikes during a spacewalk and she finds herself drifting alone in the void. Armed with nothing but a half-empty oxygen tank and her own ingenuity, she must find a way back to earth - and by implication, back out of her grief, towards hope. Forced to face the emptiness head-on, Ryan finds a lifeline: a transcendent connection to others and perhaps to God. Her journey of survival becomes a spiritual restoration, suggesting something as terrifying as it is life-giving. That real peace comes from looking into the heart of the thing that scares us - the terrifying void of our losses, our pain, our wrongdoing, our inadequacy - and coming back alive. · What is the film’s character trying to escape from, or to discover, in their journey? What are they looking towards to bring them wholeness? · What kind of ‘rest’ or restoration do they eventually find? Does it cost them anything? · If your spiritual life was a ‘road trip’ film, what might the journey be like, and where would it end up? How might it help to view rest as a process or a journey? 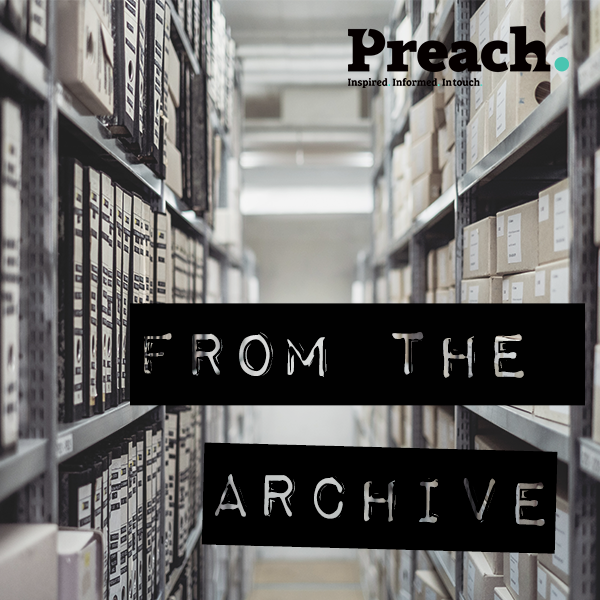 This article comes from Damaris Media, who create free film resources for churches and community groups. Download exclusive videos, discussion guides and more at damarismedia.com. If you want to get in touch and let us know how you’re using our resources, or to tell us what kind of resources would be helpful to you, email hello@damaris.org.